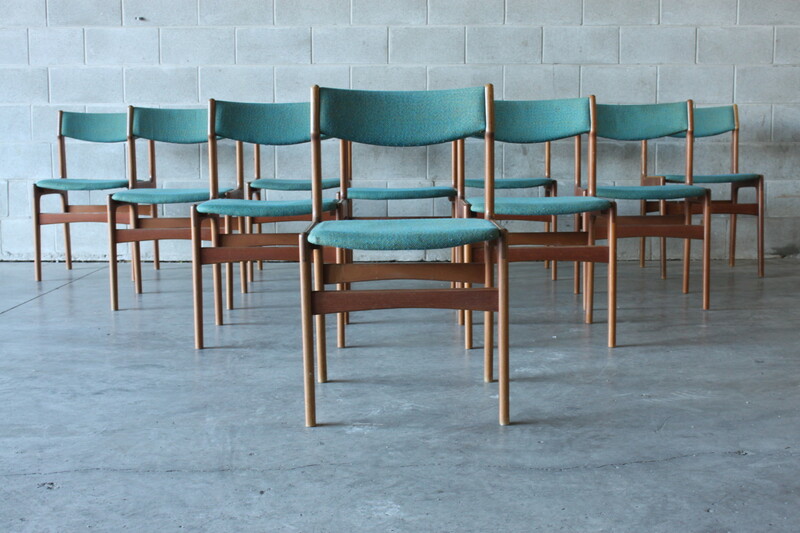 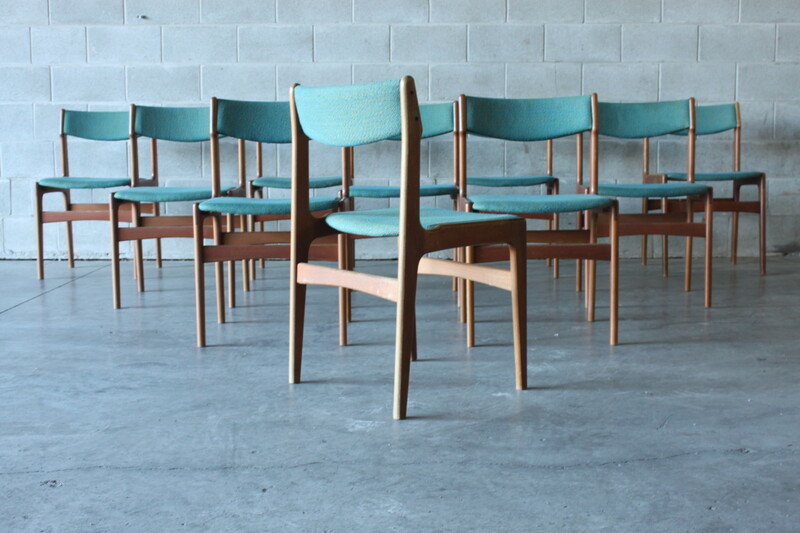 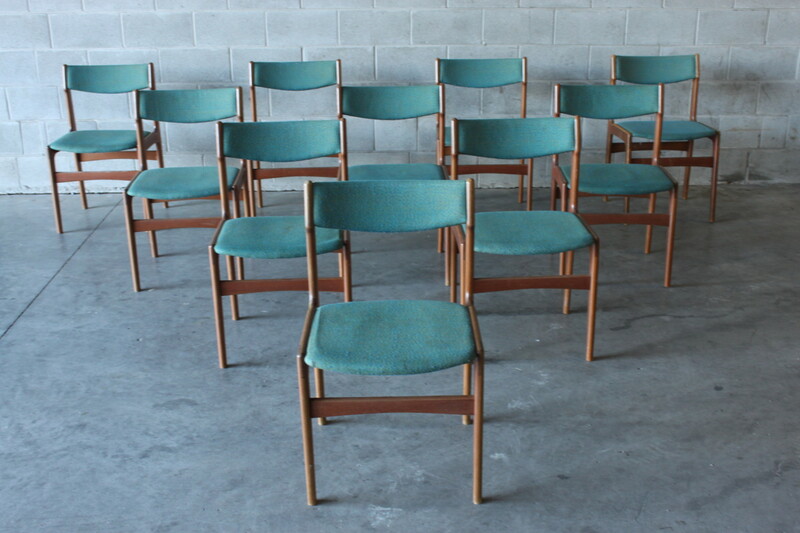 A set of 10 teak dining chairs by Erik Buch they have pale blue wool covers in excellent condition. 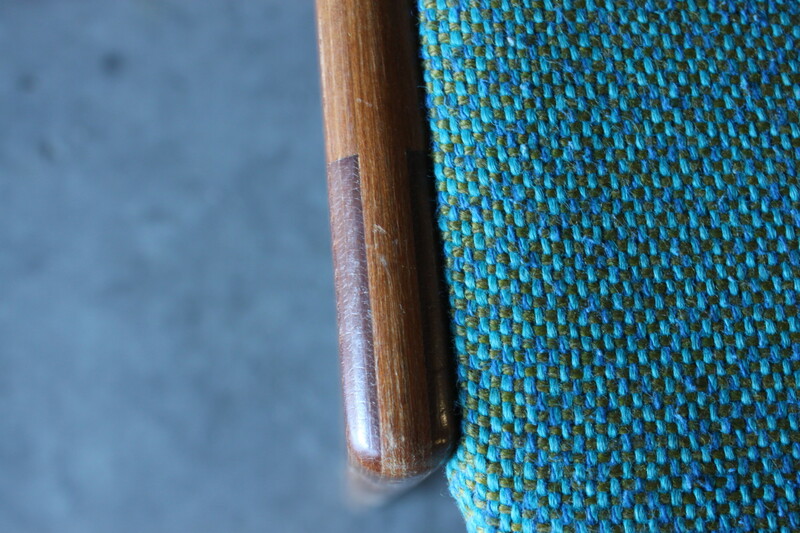 Nice exposed joinery to the leg area and highly figured rosewood is beautiful an the chairs are very sturdy and comfortable. 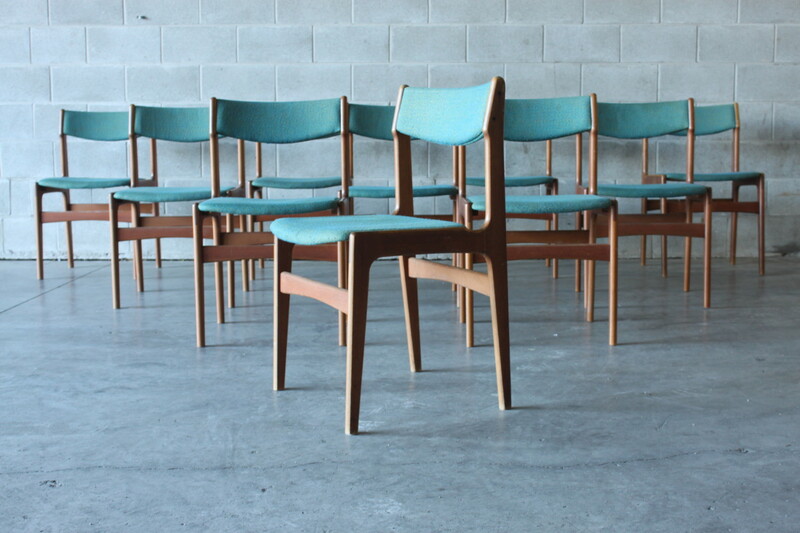 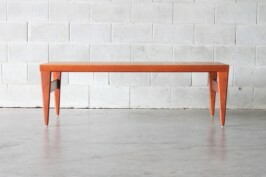 We have multiple dining tables that would work with these chairs.